JD-U Rajya Sabha member Ali Anwar Ansari on Thursday said he is unable to understand the “unprecedented hurry” in hearing his and Sharad Yadavs disqualification case by the Rajya Sabha Chairman, and demanded that the case be referred to the Privileges Committee. “Disqualification from the House for an MP is like death sentence. And no court awards death sentence in a hurry. It gives ample time and opportunity to the person concerned to defend himself. But in our case, such unprecedented hurry is being shown that even House’s traditions are not being honoured,” Ansari told reporters here. “It has been a tradition of the upper House to refer such cases to the Privileges Committee and after the committee has screened the case and given its recommendations, the Chairman takes a final decision,” he added. Ansari and Sharad Yadav were asked to appear before Rajya Sabha Chairman Venkaiah Naidu on Wednesday. “Citing our busy schedule in the face of Gujarat elections, we had asked for two months time from the Chairman. But he, in his kindness, granted only one week. So, we appeared before him yesterday (Wednesday) and presented our case,” he said. The Janata Dal-United (UD-U) leader said in his arguments before the Chairman that a case for his disqualification could not be made as he had not disobeyed any whip by the party “inside the House”. “As per the Tenth Schedule, the matter which is outside the House does not come under the Chairman’s jurisdiction. Suppose, I attended a rally that I was asked by the party not to, then it is a disciplinary issue and the party can take disciplinary action. But the Rajya Sabha Chairman or the Lok Sabha Speaker does not have a jurisdiction in such matters,” Ansari said. If in taking disciplinary action a party expels one or more of its members who are elected representatives, then as per the law they do not lose their Parliament or assembly berth. But if a member voluntarily leaves a party or defects to another party, he is liable to be disqualified. 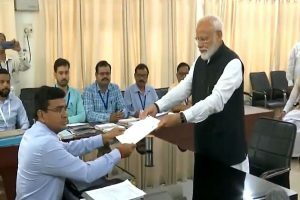 Ansari also argued before the Chairman that the case of party ownership was pending before the Election Commission and the Chairman should wait for the matter to be decided by the Commission before taking any decision. He rubbished the rival Nitish Kumar faction’s allegations that Yadav and he were “running from pillar to post to save their Rajya Sabha berths or at least delay the matter”. “If we were to save our Rajya Sabha berths, we would have silently followed Nitish Kumar. We would not have raised our voice against him. It is not about our Rajya Sabha membership, it is a battle of principles,” Ansari insisted. 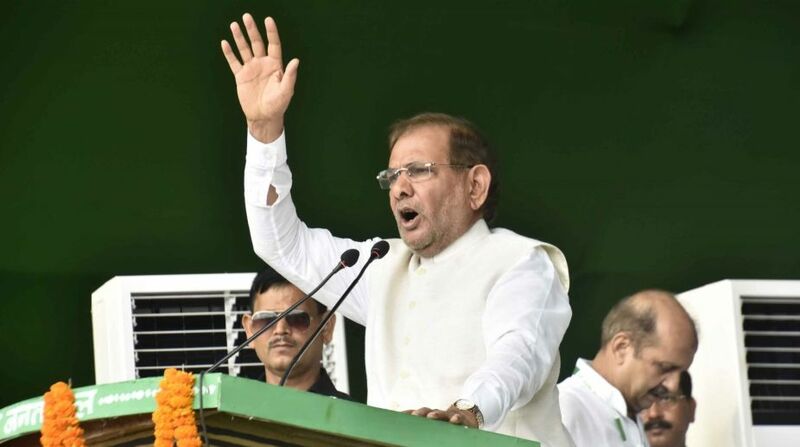 Senior leader Sharad Yadav, Ansari and a section of the JD-U fell out with Bihar Chief Minister Nitish Kumar after the latter broke away from the “Mahagathbandhan” (Grand Alliance) and shook hands with the Bharatiya Janata Party in July-August this year. Following this, the JD-U Nitish faction petitioned the Rajya Sabha Chairman for the disqualification of Yadav and Ansari.